Blue Angel offers a complete line of Primary, Back-up and Combination Sump Pumps, and Accessories. Pump Express is a stocking distributor of Blue Angel pumps including Blue Angel’s Thermoplastic, Stainless Steel Cast Iron Submersible (SSBCS), High Heat and Pedestal Sump pumps along with their Battery Back up and Combination Primary Back Up models. 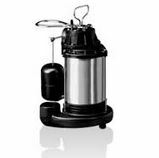 Blue Angel sump pumps will replace most submersible pumps without any plumbing changes. Call Pump Express Today at 1-800-298-4100 for Low Prices and Fast Delivery on Blue Angel Sump Pumps.